All tuition is conducted by myself ensuring continuity throughout your training. 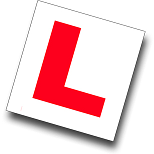 I have successfully been teaching learner drivers since 2004. Each person will learn to drive at a different pace: depending on motivation, aptitude, frequency and length of lesson - there is no magical equation to work out how many lessons will be needed. However, based on your current ability and experience, I will plan and recommend a course of lessons to guide and develop your expertise and understanding of all the key skills covered in the practical driving test, continually keeping you updated on your progress. Tuition is on a one-to-one basis. Each lesson lasts a minimum of one hour. (One-and-a-half hour and two hour lessons are also available). At the end of each lesson your progress is recorded. This highlights your strengths and weaknesses enabling me to target specific areas for improvement. Driver training is conducted in a Vauxhall Corsa. It is a highly proven and popular tuition vehicle in the UK. If your goal is to attain your full licence quickly, a semi-intensive driving course could be the perfect solution: it is a highly efficient and cost-effective method of learning to drive. To complete the course over a 4 - 8 week period would require a minimum commitment of 2 or 3 lessons per week (1.5 or 2 hour sessions). A semi-intensive course is less stressful than a fully-intensive course, but more productive than a regular weekly lesson. Please contact me for more details and to discuss your requirements. If you wish to learn to drive without the knowledge of neighbours, work colleagues etc. I will remove the roof-sign and L-plates from the car before I arrive at your home/office etc., then replace the roof-sign and/or L-plates at a suitable place before you take over in the driver seat. I will also remove the L-plates and roof-sign at the end of the lesson before you are dropped off. Pass Plus, designed by the DVSA, is a training scheme for new drivers. The Pass Plus course aims to further develop your motoring skills and knowledge to make you a better and safer driver. I also provide motorway, remedial and refresher lessons.